Ghana Premier League side, Berekum Chelsea have unveiled their new jersey for the Normalization Committee Special competition. 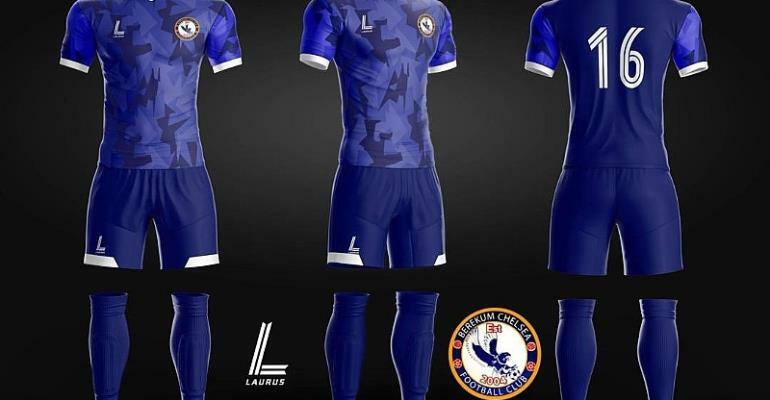 The kits which is manufactured by South African Sportswear firm Laurus Sport becomes the official kits for the club in the competition which kicked off over the weekend. The former Ghana Premier League champions become the first Ghanaian club to partner the South African firm. Laurus Sport offers European quality gear locally manufactured in the heart of Cape Town. The company already kits a host of South African lower-tier sides including Zimasa Stars.